Leviathan is a ten-part episodic narrative conceived and directed by Shezad Dawood which explores notions of marine welfare, migration and mental health. 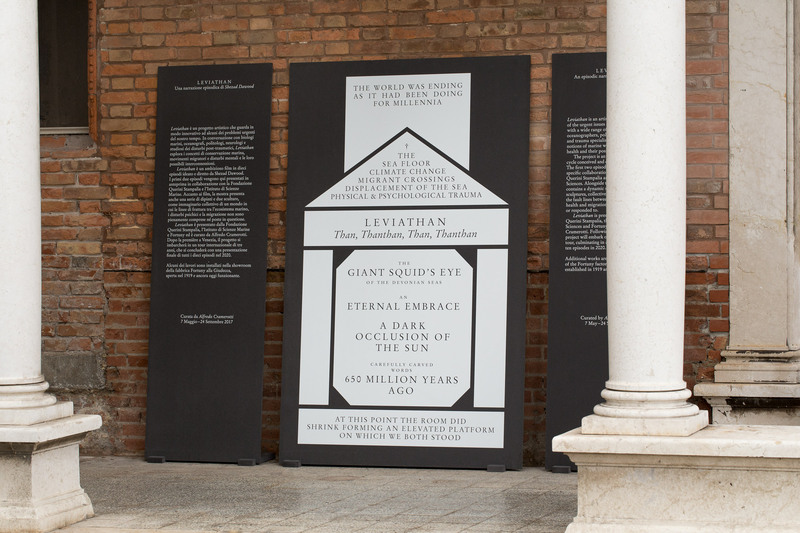 In dialogue with a range of marine biologists, oceanographers, political scientists, neurologists and trauma specialists, Leviathan premieres in Venice at the 57th Art Biennale before embarking on a three-year international tour. 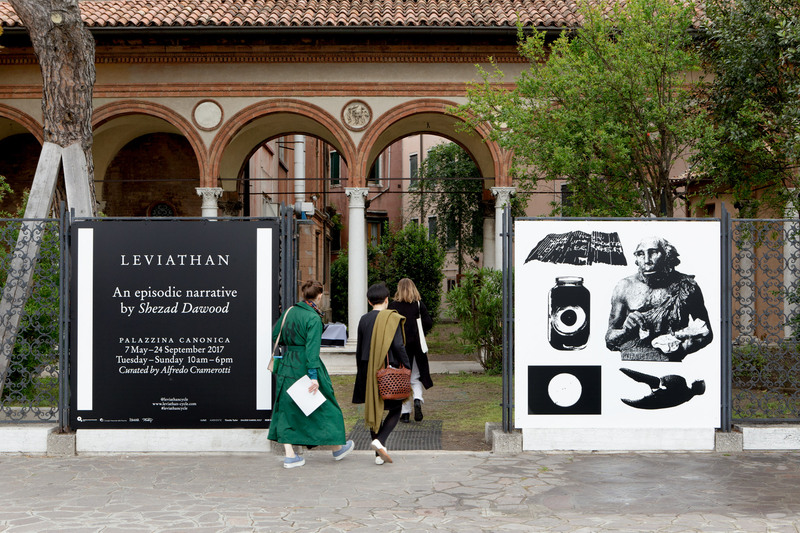 The visual identity playfully traverses from reality into fiction, imagining Leviathan as a virtual institution, with a facade, a foyer, viewing spaces and off-site projects. 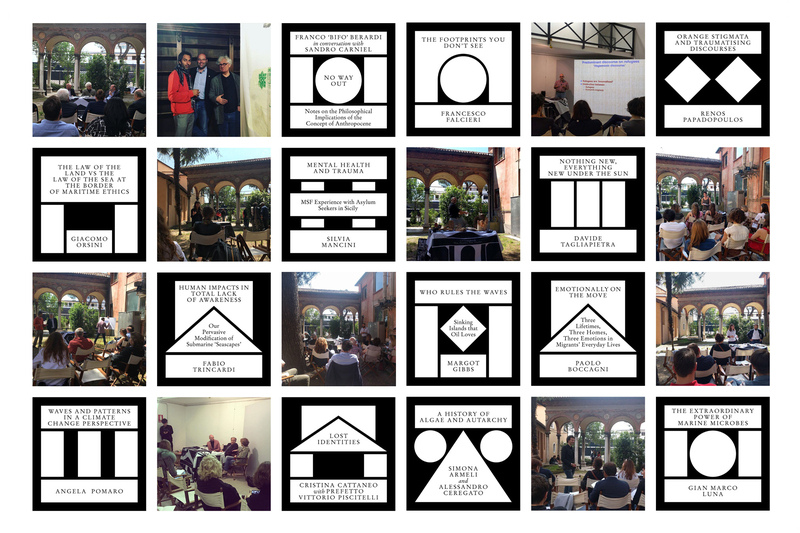 Referencing the architectural languages of the frontispiece, the classical floorplan and projective geometry, the visual identity presents a permanent online residence for a touring project. 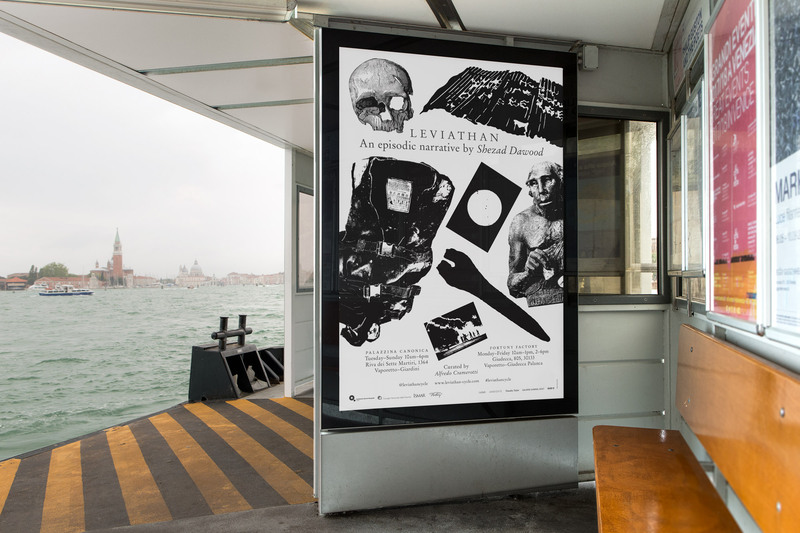 A typographic layer of extracted content, riffs off the rich history of classical typography and acts as a primer to the artist’s episodic narrative. 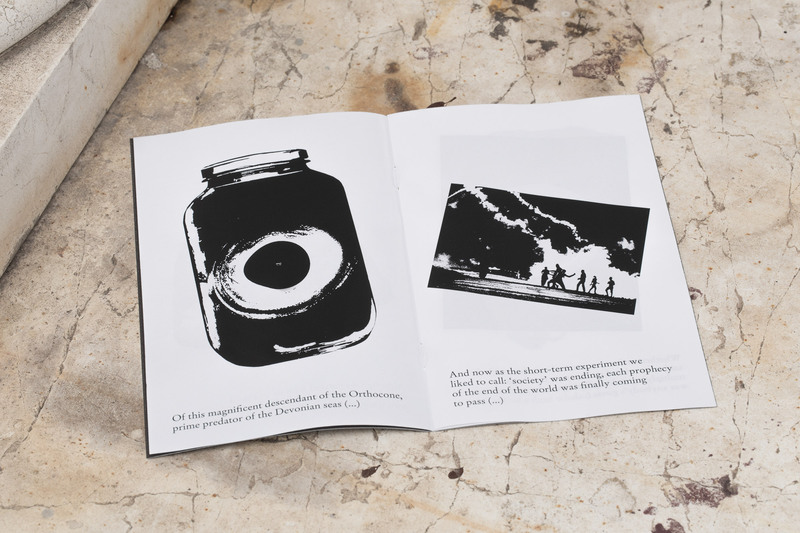 With the release of each new episode, a set of images are created which reflect the key themes. 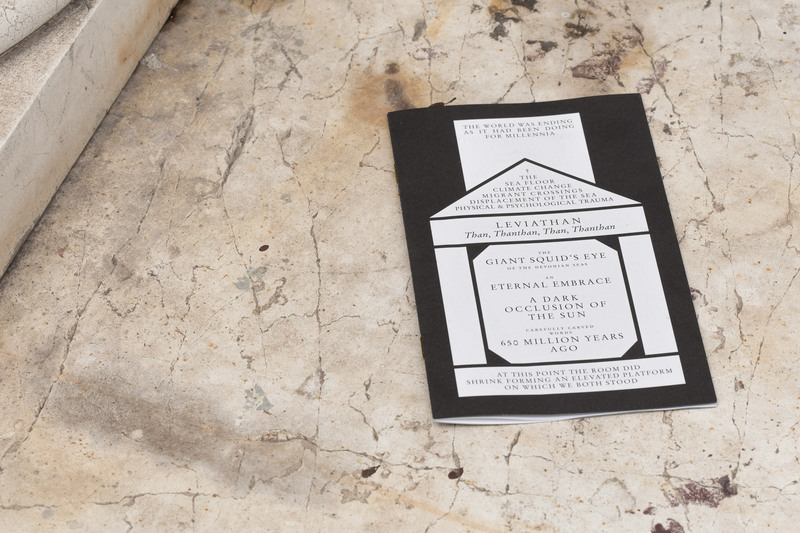 The website invites visitors to explore the rooms of this virtual space which host the original scripts and film trailers for the artists episodic narrative and an ever growing library of research papers published by Leviathan. The website uses elementary gestures to convey physical space, subverting the expected spatial condition of on-line experiences. 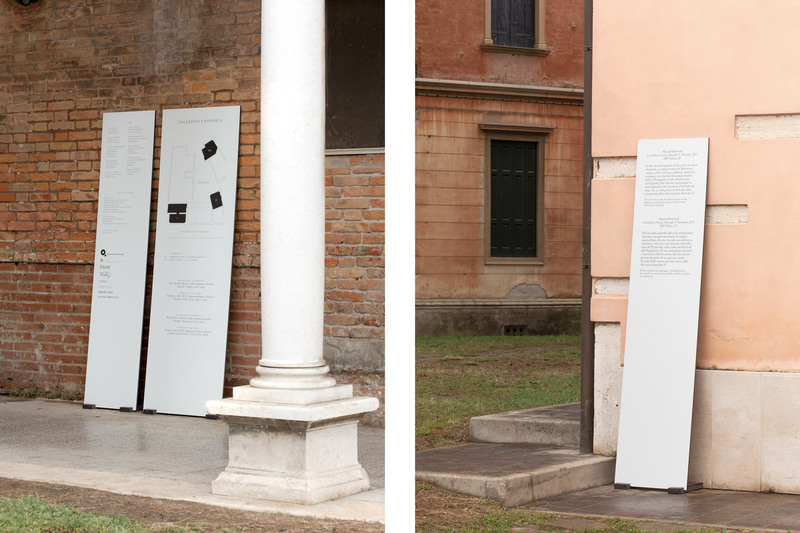 For the exhibition and garden salon at Palazzina Canonica, communications centred around an image focused campaign, whilst the environmental project consisted of a family of leaning signs.